Copán is neat and peaceful town. Large variations in elevation, steep streets and plentiful palm trees make an orientation easier. Urban transport is carried out by red rickshaws ubiquitous on cobbled streets. After a long search we finally find a place resembling a bus stop. An additional difficulty to leave the city is completely random non-existent timetable. Luckily after some time we find the bus which would take us to Aguas Calientes. 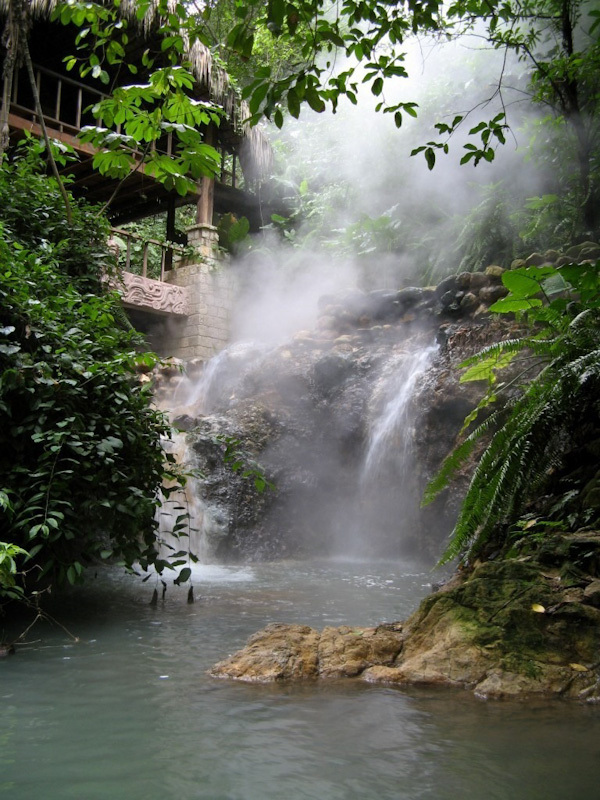 Aguas Calientes is a name for natural hot springs located a half hour drive from Copán. The area is surrounded on all sides by plantations of coffee. We were the only guests, perhaps because it is so hard to get here. We take a long relaxing bath in a natural jacuzzi with a flow of current hot water. Hiking up the streams in the lush tropical vegetation we find also a natural sauna. Eighty degree hot stream of water flows from a source to mix together with a nearly ice-cold stream, thus forming a natural sauna. Sitting oa few meters above the steaming stones serves as an another relaxing therapy. The whole scene observed from the hot jacuzzi resembles a located in the heart of the jungle paradise on earth. It is difficult to leave such a place and when we already decide to do so, it appears that it is too late to catch any return bus. So we walk along the road come to the first house on the way. Luckily, we are able to take the place on a pickup load as host’s brother is going to Copán as well. We return after dark, the city center city is loud, cheerful and full of people. This is Hurricane Party, the last hurricane has just passed Honduras, we all celebrate! At the beginning of the day we are having licuado de frutas con leche, a tropical fruit shake with various fruit mixed together with the addition of milk. Today’s plan is a walk to Hacienda San Lucas, a farm run continuously for over a hundred years by the same family. The walk takes about hour and a half. 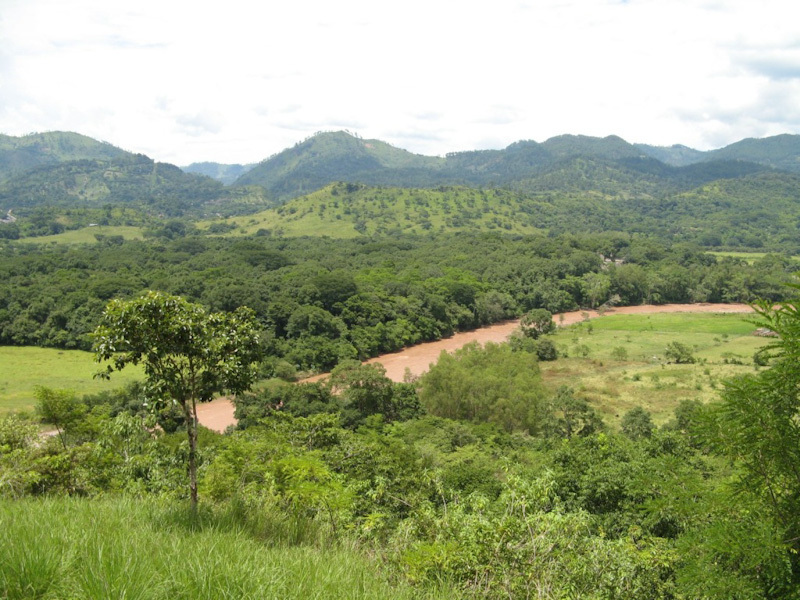 As we climb up the hill, more and more stunning views of the Copán valley and picturesque river flowing through it appear. Hacienda San Lucas is surrounded by plots with various crops. Some plants are quite common, like coffee, bananas and citrus, while there is a handful of various exotic fruit which I see today for the first time. 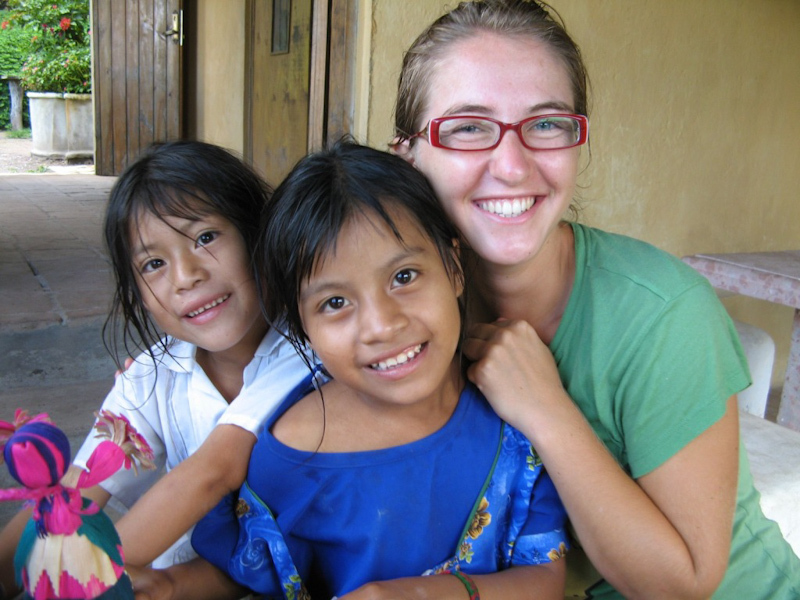 While wandering the plantations we encounter several Honduran girls who show us the way to heavy rain haven. Helen, 9, is the only one among her friends who goes to school. She can speak little English. Children in the age from five to just nine are already engaged in the sale of colorful dolls hand-made by their mums. When choosing a route back through the bush we decide not to use the map as it sounds as a greater challenge. For some time we squeeze ourselves through dense scrubs and plants just to we find ourselves in the starting point. Let’s take another approach. We encounter ramshackle wooden hut, which looks as if its potential owner did not bother to patch holes nor repair it for a long time (the hut however seems to be inhabited). The following day we move south.